Term three at the Young Actors Company is all about social engagement. 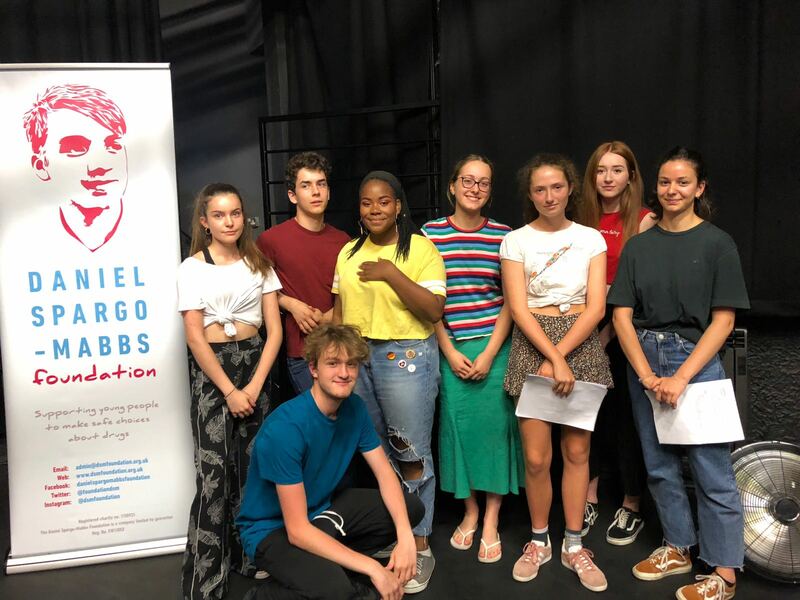 We want to get away from the studio and out into the London Borough of Merton community – and our young actors did just that in the summer term. Act 2 (school years 9-10) worked on a groundbreaking community project with the Alzheimer’s Society and Dementia Action Alliance. Called Bridging the Gap, the project saw our young actors interview community members who use the Merton Dementia Hub in Mitcham, before devising an original piece of theatre based on their memories. Living Memory was performed to a full house on Sunday 01 July 2018 at New Wimbledon Theatre’s Time & Leisure Studio. Including Dementia Hub users and their families, it was great to see people of all ages in the audience – making a difference across the community is what our Young Actors Company is all about. A very special project with a strong foundation, we filmed the performance and will be showing it at an exclusive screening at the Dementia Hub on Tuesday 25 September 2018. Thanks to the success of this social and community engagement in Merton, we’re talking to the Alzheimers Society about further collaborations. We’d also like to expand the piece and perform a longer version as part of Film Merton 2019. After previewing their drugs education workshop, developed in collaboration with the Daniel Spargo-Mabbs Foundation, at the Time & Leisure Studio, Act 3 (school years 11+) delivered the peer-to-peer, interactive workshop in five Merton secondary schools: Rutlish, Ricards, Raynes Park, Ursuline and St Mark’s Academy. It was wonderful to see young people talking about this issue with minimal adult interference – and we look forward to doing more of this work in the future. 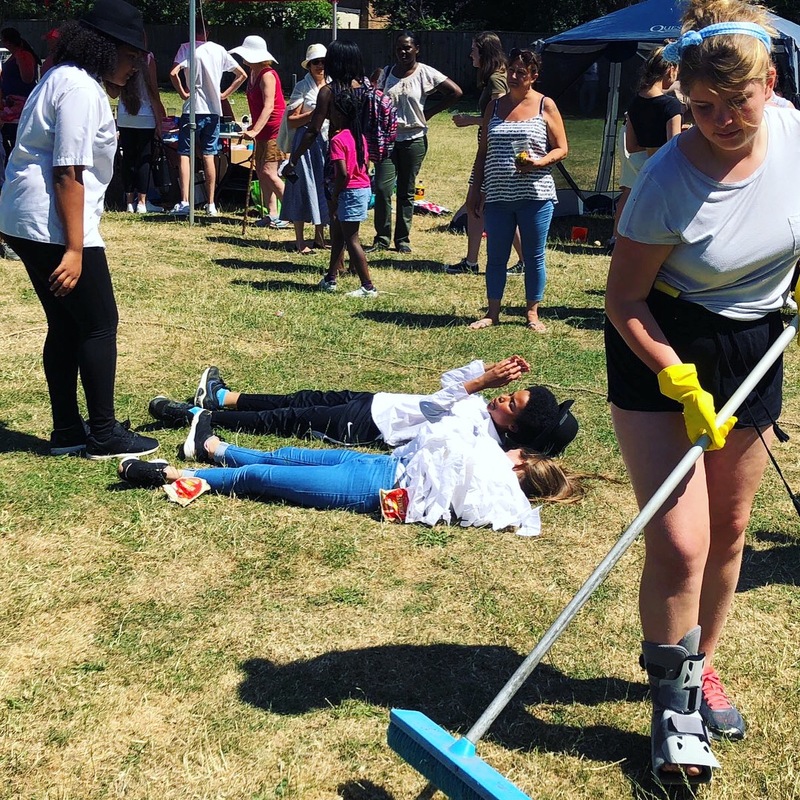 Act 1 (school years 7-8 ) were working in the great outdoors: their social and community project involved performing an original piece of theatre at three festivals around Merton – Merton Hall Park, Cannons Hall and Cricket Green School’s summer fair. Act 1 also performed the piece to an audience of parents and friends at the Time & Leisure Studio. The piece they created, The Mystery of the Red Hat, was a big colourful and comic 20-minute, murder-mystery…and not even the victim knew who the killer was! Outdoor theatre was a first for these young actors – and much fun was had in the sun. Interested in our social and community engagement work in Merton? We already have plans for more social and community engagement in Merton during 2019: watch this space. As a charity, we rely on your generous support and donations to keep the Young Actors Company – and all its fantastic work in the community – going. 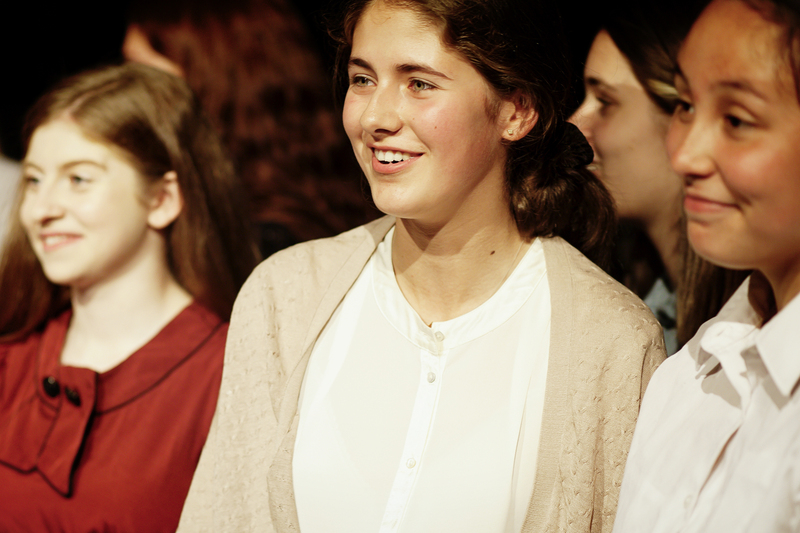 The Young Actors Company is free to attend and open to all young people aged 11 to 19 across Merton. To help keep this valuable resource for Merton free, you can donate right now or get in touch to find out more: we’d love to hear from you.